Advice is always welcome on how to get to the places, where to park, and what to find there. Do tell us about exciting things that you see on your visits. 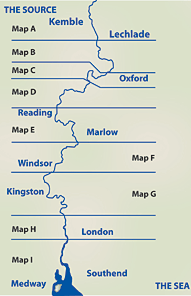 The River Thames Society and the Thames Rivers Restoration Trust are open to all who are interested in the well-being of the Thames. Why not join us? 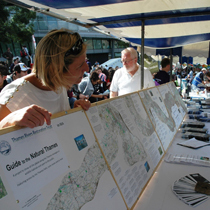 Details about membership and supporters are on our websites, www.riverthamessociety.org.ukand www.trt.org.uk . Many of the organisations that manage the places in our Guide have volunteers who help with a wide range of jobs. Please look at their websites for more information if you are interested in volunteering and conservation activities. When you are out enjoying these wildlife habitat sites please remember to abide by the Countryside Code, below are a few reminders. Please keep to paths where requested. Please follow the rules about taking dogs to the places. Where dogs are not permitted, it is to avoid disturbing birds and mammals. Please dispose of dog poo in proper bins. Please do not pick or dig up wild flowers – that is illegal. Please do not disturb nesting birds. Please let us know if you see any damage or dumping at these places.